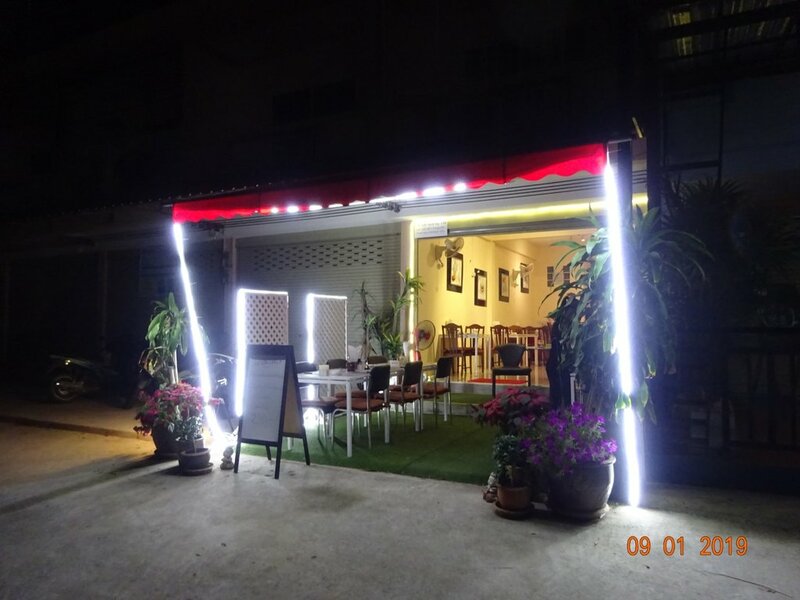 On Soi Talman, just next to the Central Park Hillside, Tamara has opened her little restaurant a few month ago. 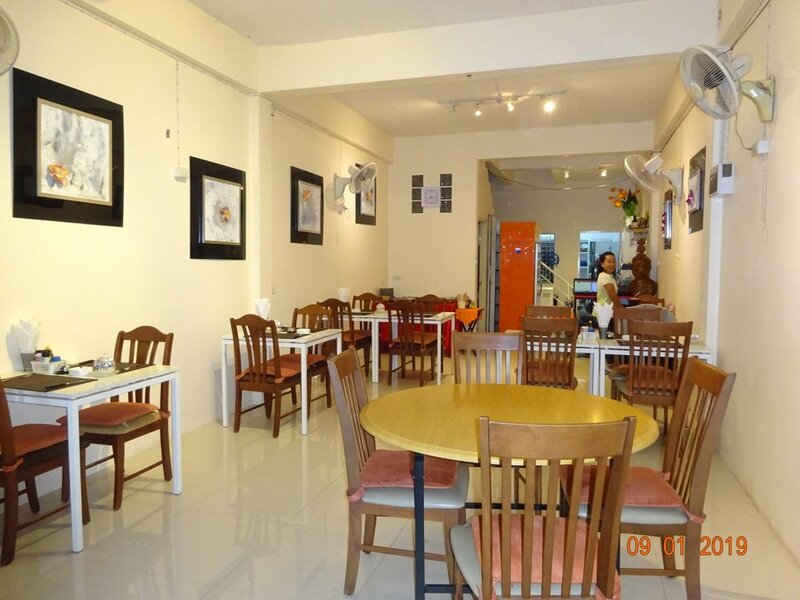 Some of you might remember her from her place on Soi Khao Noi. 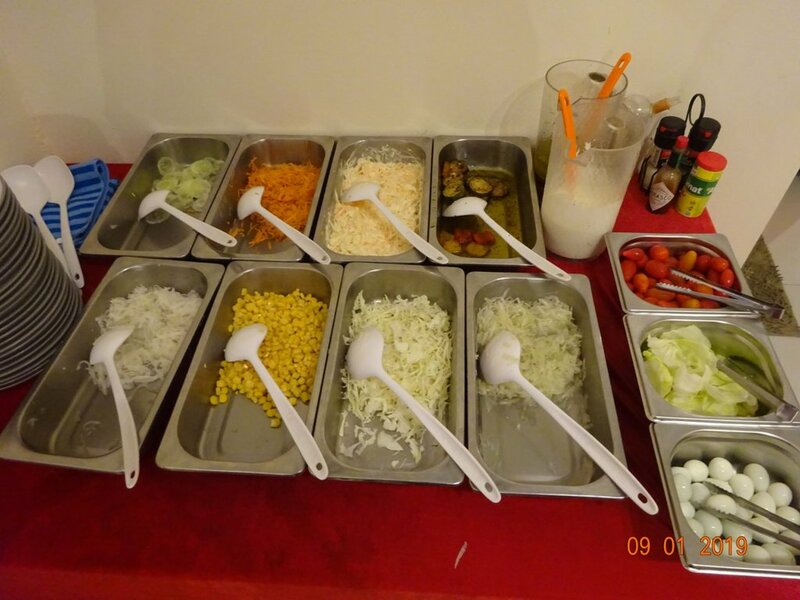 You can find Swiss specialities as well Thai food on her menu, as long as the Thai cook is not on leave. Why not try a cheese fondue? 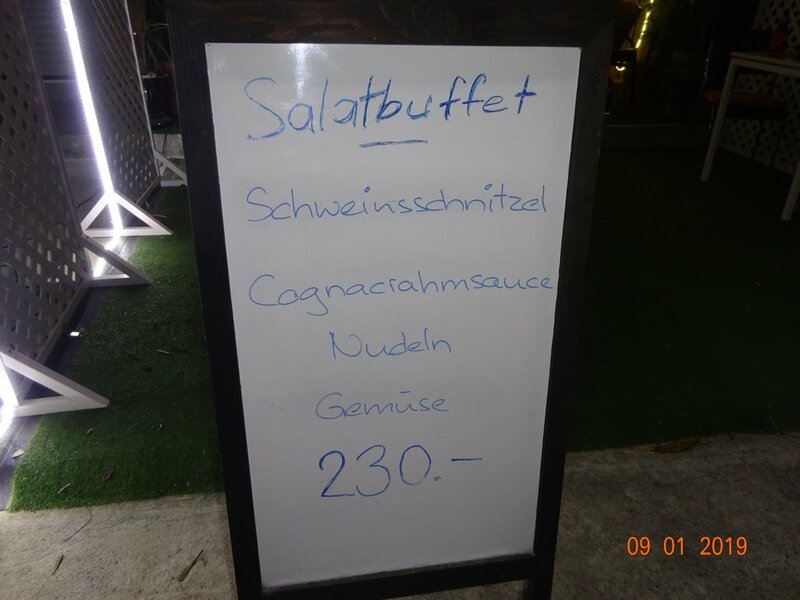 The daily specials cost 230 Bt including the salad buffet. The bread was excellent, the salad delicious. 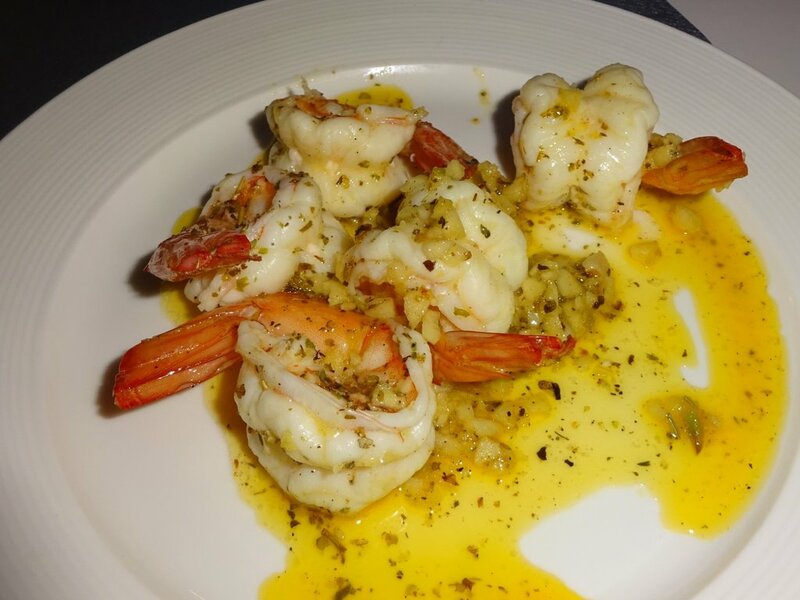 Starter: shrimps in herb butter, a nice change to the similar dish in Aroi or Sämis, where it is prepared with garlic. 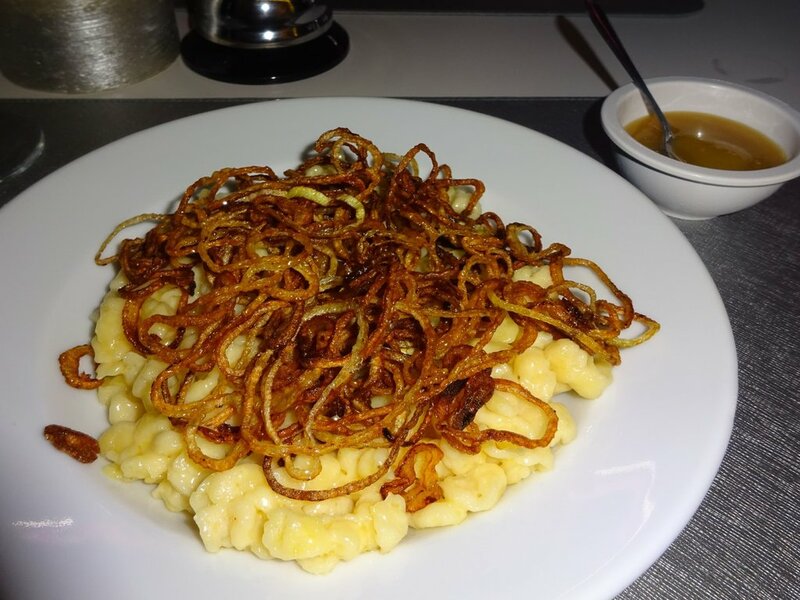 As main I had the Käsespätzle (chese noodles), with Emmentaler cheese and smelted onions, plus a dollop of apple sauce. Superb. 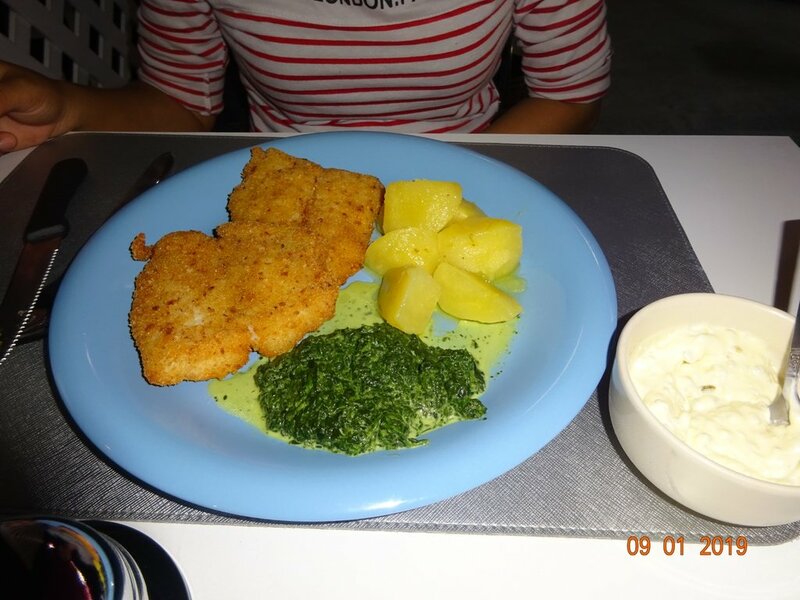 GF had the fish filet, the spinach was so lovely, I would have eaten it even when I was a child. 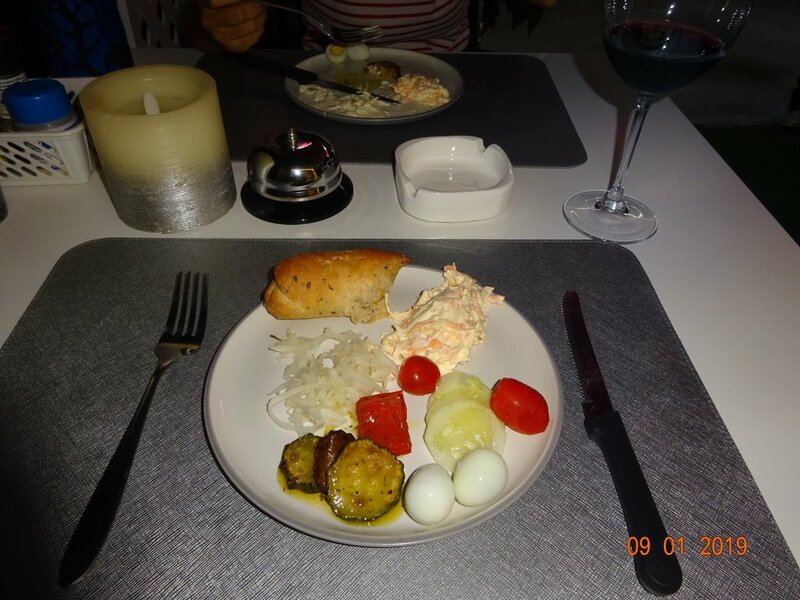 Having Sämis and the Swiss Den in her neighbourhood, Tamara will not have it easy as they both offer good value food. 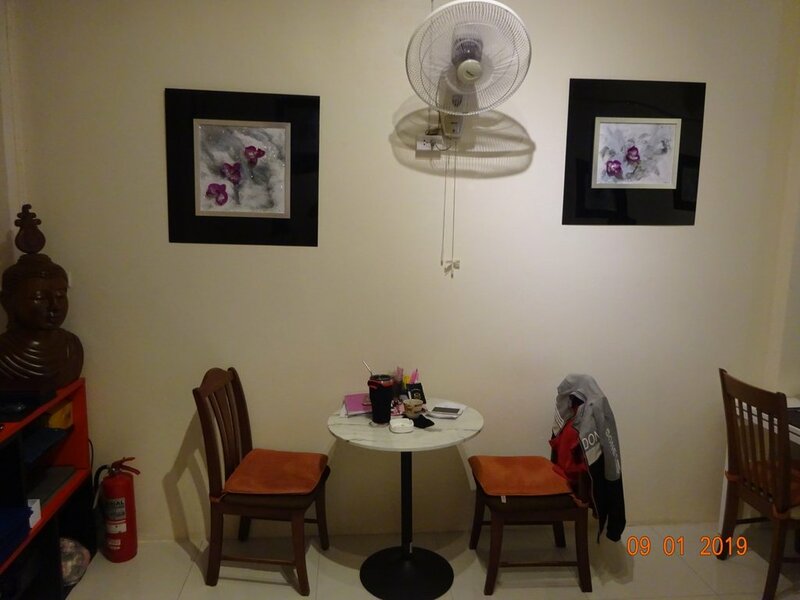 Those living nearby, will be happy to have a new place to go to. Looks good, but I couldn't help notice over half of everything written is in German, not the most international language in the area. 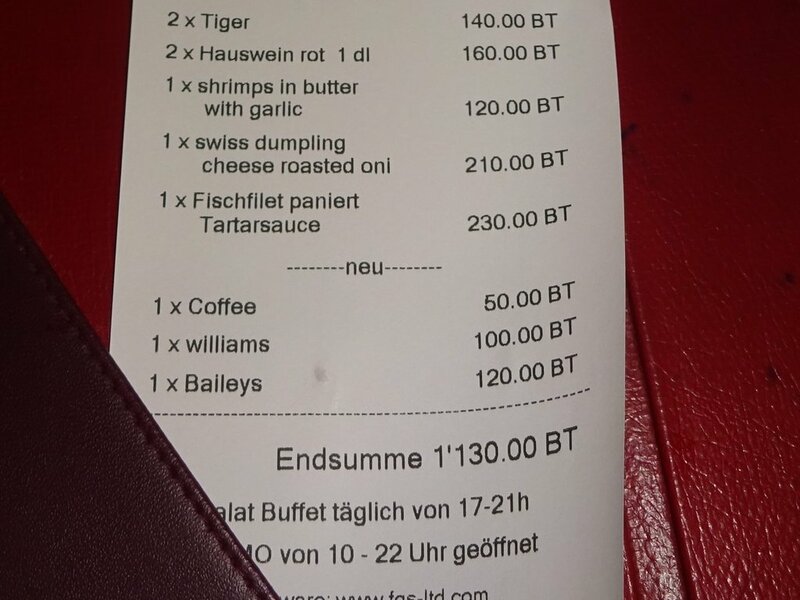 Personally I don't have any problem with German but I do have a bit of a problem with the inconsistency, either go full German or full English (or just about any other language), but not this half way thing. Noticed this as well. For me no issue, but I understand and will point it out at my next visit.